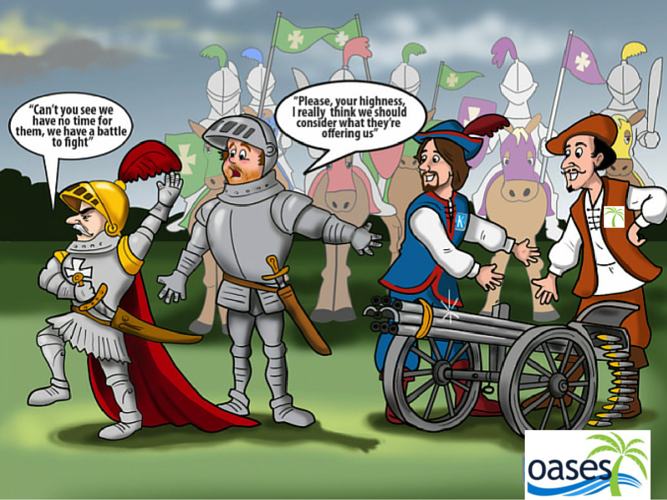 In our customer focused yet highly competitive industry it is more important than ever to be able to take a complaint, problem or upset customer and not only calm them but to turn the situation around from a negative to a positive. Working with frustrated parents is a situation that will happen to any tutor, tutoring company or afterschool program. Yet, an upset customer that has had a problem solved and solved well will often be a more loyal customer than those who have never experienced an issue. I have included two sets of tips or strategies in this article; five from the National AfterSchool Association and seven from Zendesk. There is a slight overlap which is why I’m going with seven plus tips. 5. Follow up. After a few days, the next time you interact with that parent, or whatever time period makes logical sense based on your relationship or interactions with the parent, circle back and ask how the situation is now. Ask if they are happy with the solution to the issue and if there is anything else that can be done to help them. This is a critical step. Zendesk, providers of possibly the world’s most popular help desk software offer 7 strategies for dealing with upset customers. The strategies are below with some personal comments. 1. Be Prepared. Train your staff in how they respond to complaints, never be caught in the headlights. 2. Thank them for complaining and mean it. Every complaint is an opportunity to prevent the issue happening to someone else and as such improve yourself and your company. 3. Soothe the customer. Much like point number 1 from the NAA it is important to calm the customer so the conversation may become productive. One tip I have learned from years of customer service; if you are with the customer try to get them to sit down. Do this gently by offering to go to your office or a quiet seating area and if possible sit with a pen and paper. It is very difficult to shout when you are sitting plus making notes is taking someone seriously. 4. Respond then act – don’t React. 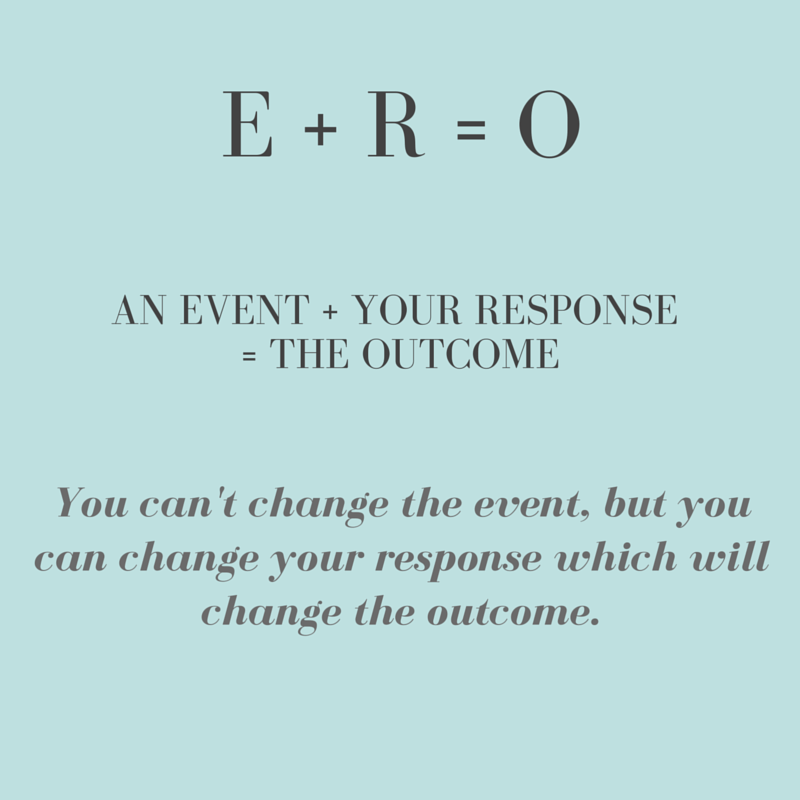 This is the E+R=O formula. 5. Take the High Road. Don’t argue even if they are wrong, mistaken or outrageous. The higher your emotional self management is, the more productive you will be in these situations. 6. Change the way you view complaints. If you can view conflict as productive and believe you can solve a problem then you will handle the situation better than someone who avoids it at all costs. 7. 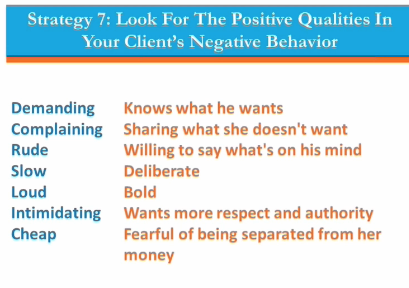 Look for positive qualities in a customer’s negative behavior. Always remember to be kind. You don’t know what happened in someone’s day. If it’s not kind and not constructive DON’T SAY IT. Are you too busy to implement a strategy that would stop you being busy? 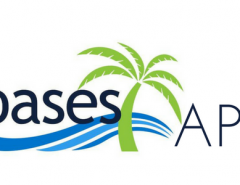 Oases Online scheduling management for instruction, tutoring and afterschool sessions. Previous Article Can A Simple Font Help Readers with Dyslexia?